As we get older, walking up and down the stairs can become more and more difficult. You may even be avoiding certain areas of the house, as it just isn't worth the effort. We understand our customers' frustration at not being able to move around their home with ease, and that's something we can help with. All our stairlifts are simple to use, easy to maintain, and are available in a wide range of colours and styles. At Cavendish Health Care, we take immense pride in giving people back the use of their home, through the supply of a safe and comfortable stairlift - whether that's curved or straight - working in partnership with trusted companies such as Brookes, Stannah, and Companion. A stairlift is the peace of mind you need, and the convenience you deserve. Easily installed to most types of staircase, our residential stairlifts are available in a wide range of styles and sizes to suit your requirements. We have a team of experienced fitters on hand to install your chosen stairlift and carry out any repairs or maintenance work needed later down the line. We can supply and install the perfect stairlift for you which will also suit your budget. New, straight stairlifts from £1,495 and reconditioned models from £995. Companion Stairlifts are one of the largest suppliers of stairlifts in the UK. We pride ourselves on our friendly and professional low-cost service. Companion will only install stairlifts that have achieved the most recent British and European safety standards, ensuring you have the peace of mind in knowing that you can rely on your stairlift for years to come. Give our friendly and professional team a call on 02392 255600 for more information on the different types of stairlifts we can supply. With literally thousands of satisfied customers, the independence and freedom that a Companion Stairlift provides is priceless. Stannah has been supplying stairlifts for over 40 years. During that time they've helped over 600,000 people have the full use of their home once more. 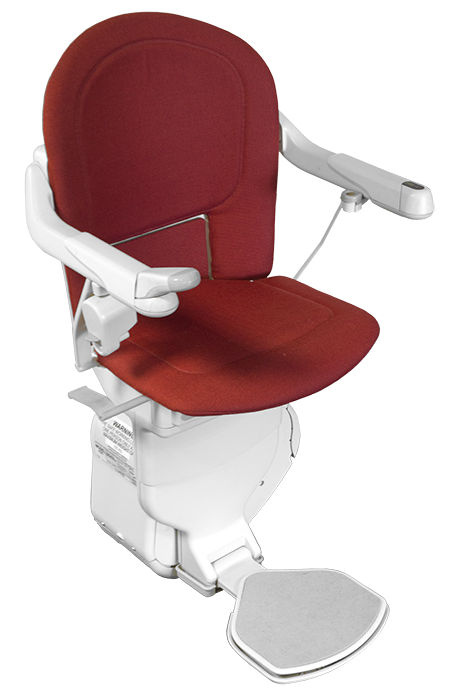 A Stannah stairlift is the perfect choice to help you rediscover your independence at home. With a trusted stairlift to help you get around you can save your energy for the more enjoyable things in life – like entertaining the grandchildren. They understand that not all homes are the same. So can supply straight, curved, and bespoke stairlifts to suit your home. At Cavendish Health Care, we've helped many happy customers benefit from a Stannah stairlift. Please call us on 02392 255600 for more information.